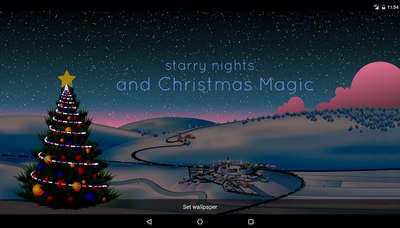 Do you want the perfect lwp to put on your Android this Christmas?! That's a rhetorical question guys, because everyone would want to download Winter Live Wallpaper v1.0.8 apk, and enjoy its peaceful and christmassy atmosphere filled with snow and beautiful white skies! 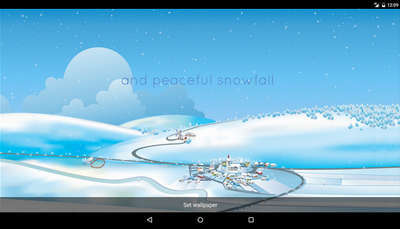 Winter landscape live wallpaper features a peaceful village set among snowy hills celebrating Christmas under a peaceful snowfall. - Magic of the light works of the Christmas Tree. Christmas tree is visible by default.